The main city of southern Poland – and a place with a particularly rich history. For the dark tourist, it's especially important as the usual base for day trips to Auschwitz, the world's No. 1 Holocaust tourism site. But Krakow itself has a lot to offer in the dark department too, ranging from a (former) Jewish quarter/ghetto to traces of the city's role during the communist era and its downfall. More background info: Krakow is sometimes referred to as Poland's secret capital, i.e. after Warsaw, the current actual capital city. But in fact Krakow used to be the real capital for a significant part of its chequered history. From a dark tourism point of view it is mainly through its role in recent history, esp. during the Nazi occupation and the Holocaust, that makes it of special interest. But it also had its role to play during the communist era and especially in the overthrow of communism. 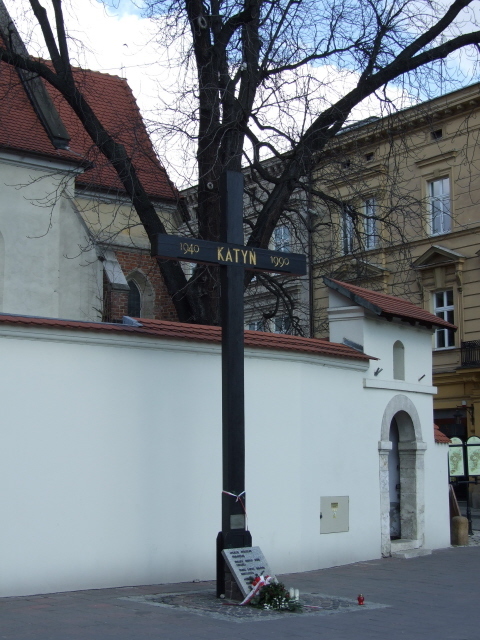 Krakow's Jewish ghetto was second only to Warsaw's in tragedy. It was set up by the Nazis south of the river (and the original Jewish quarter) in March 1941. It was 'liquidated' in March 1943, i.e. the remaining inhabitants were either killed on the spot or deported. 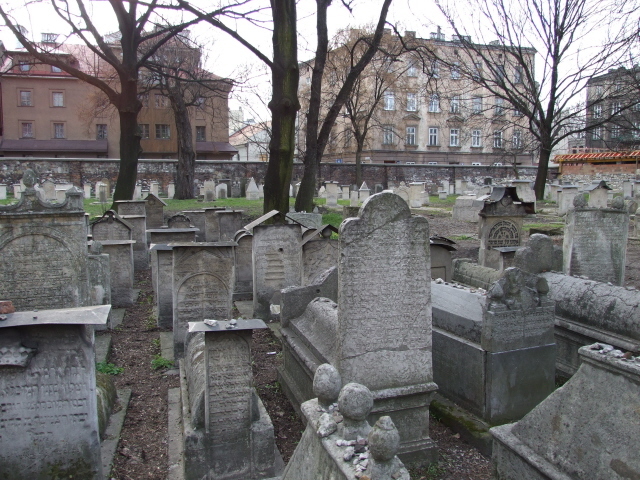 Virtually the entire Jewish community of Krakow had thus been murdered in the Holocaust by the end of 1943, mostly in the Nazi extermination camps such as Auschwitz. 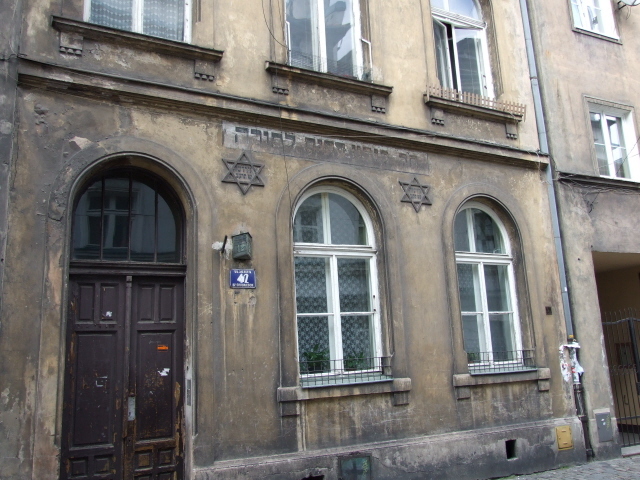 Traces of Krakow's Jewish life, however, as well as of the ghetto can still be seen today, as touristic interest in this part of its history is fairly well catered for. A particular boost for this came from Steven Spielberg's early 1990s production "Schindler's List", which was set and partly filmed in Krakow, and whose immense international success generated a lot of interest in the topic also from a tourist perspective. For many years there were specific "Schindler Tours" on offer in Krakow, but I couldn't find out whether these still run (I suppose not). Another, and in some ways even more genuine input from the world of cinema came from Polish film director Roman Polanski, through his 2002 film "The Pianist". Polanski had in fact survived the Krakow ghetto himself as a young boy (unlike his mother who was gassed at Auschwitz). About eight years after "Schindler's List" Polanski in my view surpassed Spielberg's take on the Holocaust with his own film by miles. Like "Schindler's List", it also retells a true story. It is often much more drastically realistic. However, "The Pianist" is actually set in the Warsaw ghetto. Polanski left a more concretely visible mark on Krakow itself through a special monument that he part financed. This is to be found on Bohaterow Getta square. Unlike Warsaw, Krakow escaped being almost completely levelled in World War II, partly thanks to the fact that the Nazis chose Krakow as their administrative centre for their 'general government' of the area. As a result Krakow has a lot more authentic sites to offer today, dark or otherwise. Krakow also played a role when Poland started the beginning of the end for communism in the Eastern Bloc, which subsequently led to the end of the Cold War. This initially took the form of strikes and the formation of the trade union movement Solidarnosc, and Krakow's huge steelworks in Nowa Huta became the second most important hotspot for these acts of resistance and the general push for change (only surpassed by the shipyards of Gdansk, where it all started). The most important element of Krakow's significance in dark tourism, however, is the city's relative proximity to Auschwitz – and tours to that sinister place form a major mainstay of the offers of the local tourist industry. What there is to see: The old Jewish quarter of Kazimierz, just south of the centre and old town of Krakow, is fantastically intact and still boasts several synagogues, buildings adorned with Stars of David, a fairly large Jewish cemetery and today a range of Jewish cafés and restaurants again too. This complex can rival Prague's Jewish quarter! 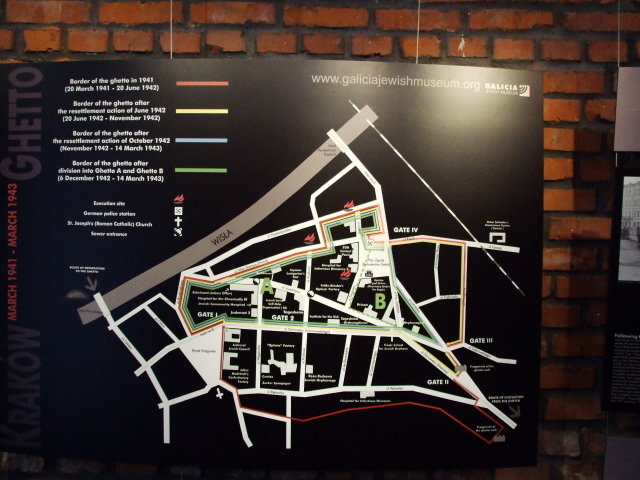 Of particular interest to the dark tourist in Kazimierz should be the Museum Galicja at No. 18 ul. Dajwor, which chronicles the history – and destruction – of Krakow's ghetto and the extermination of its Jewish population in the Holocaust. There's a particularly well-stocked bookshop adjoining the museum proper, and regular exhibitions are being held in parts of the building too. When I was there in spring 2008, for instance, there was a particularly poignant photo exhibition of former Jewish sites in eastern Poland (the Galicja area), including ruined synagogues and such like, plus images of the sites of the former concentration camps and death camps as they look today. 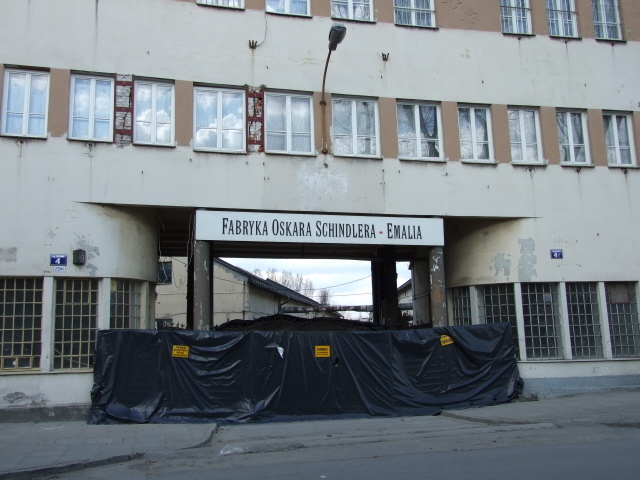 Across the river, south of Kazimierz, is the district of Podgorze, which is where the ghetto set up by the Nazis was located. Of the ghetto only a small stretch of outer (restored) ghetto wall remains, along ul. Lwowska. There are a couple of plaques on this wall and frequently you'll find wreaths and candles set down by it. On the square pl. 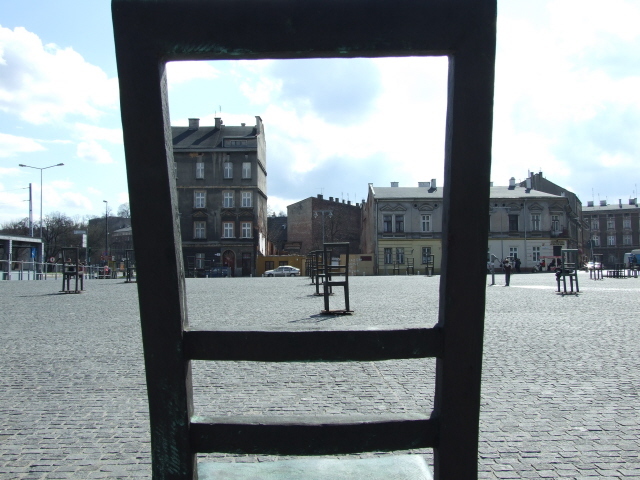 Bohaterow Getta, from where scores of Jews were deported to the death camps, a memorial consisting of rows of steel chairs is a most striking feature today. This is to symbolize the furniture the Nazis threw onto the streets when they evicted Jews from their homes. 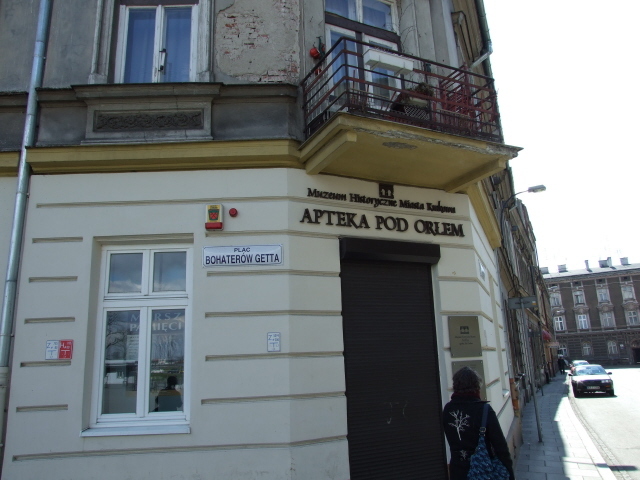 This and the museum in the old pharmacy building Apteka Pod Orlem on one corner of the square was part financed by film director Roman Polanski, who himself managed to escape from the Krakow ghetto as a young boy and thus survived. During the ghetto years the Apteka Pod Orlem was the point through which information about the outside world was filtered into the ghetto. Today the building houses a small ghetto museum. Unfortunately it was closed at the time of my visit so I can't say anything about its contents. From here it's only a short walk east, through the underpass beneath the railway line and along Lipowa street that will take you to the original Oskar Schindler enamel factory, featured in Spielberg's blockbuster film and hence a site of "pilgrimage" (although today much less so then back in the mid-1990s) – as evidenced by the plaques outside the factory's gate. The place was undergoing some refurbishment when I visited in spring 2008, meanwhile this is said to have been completed and a small museum reopened. A new museum of modern art is also to be housed on the premises of the former factory. Further afield is the site, in a disused quarry, where Spielberg had a set built to represent the infamous Plaszow concentration camp (parts of the film set left behind even became an attraction in their own right). The real site of Plaszow camp lies a bit further beyond. It's about a mile (1.5 km) south of Podgorze, but there's not much to see there, so it's only for the really dedicated. The area these days is overgrown, the camp itself all gone. 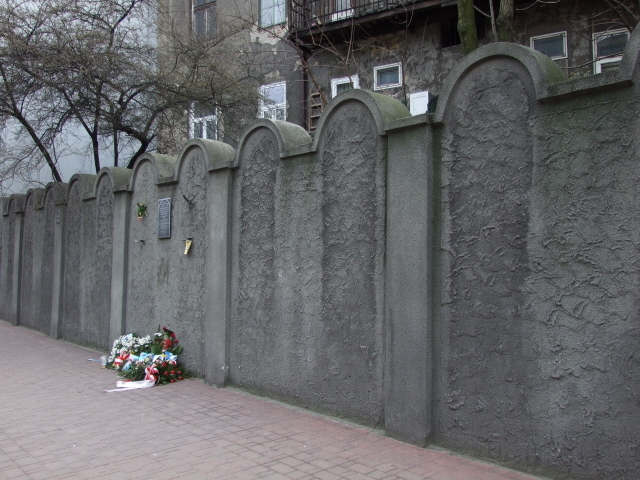 There's only a typical 1960s socialist-style monument to the victims, without stating who they were – that’s left to an extra plaque added later by the Jewish community which spells it out. The former house of notorious SS camp commander Amon Göth is still there, but now surrounded by a council housing development. Less dark, more weird are a couple of abandoned sites from socialist days: one is the highest but unfinished building of Krakow, the "Szkieletor". It looks like a skeleton of a building really. It stands just to the north of the huge intersection and traffic island of Rondo Mogilskie, some 500 yards east of the central train station. The other abandoned edifice is the former Forum Hotel, a quirkily futuristic building from the latter days of Poland's communist era. 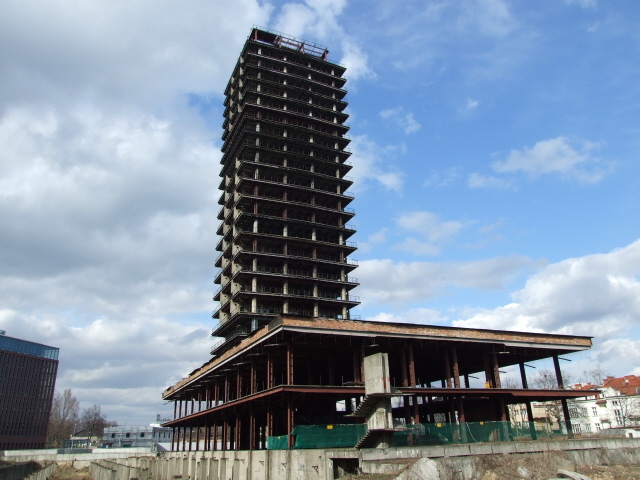 The strange oblong structure, supported on a small forest of stilts, is now vacant and disused – due to construction faults that render it unusable, apparently. 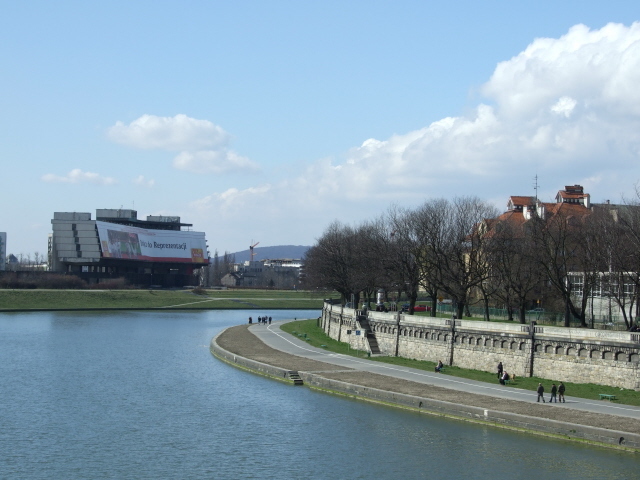 Except that its front facing the river and central Krakow now serves as the city's largest billboard – when I visited a gigantic, football-related advert for Poland's most popular beer brand. 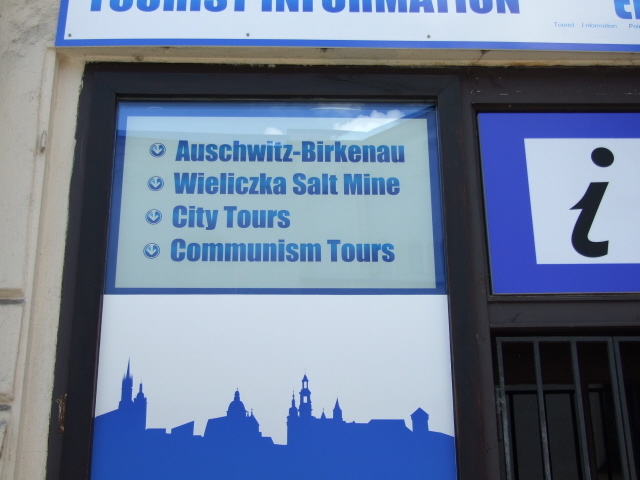 Another speciality, of a much more touristy nature and increasingly popular are the so-called "Communism Tours". 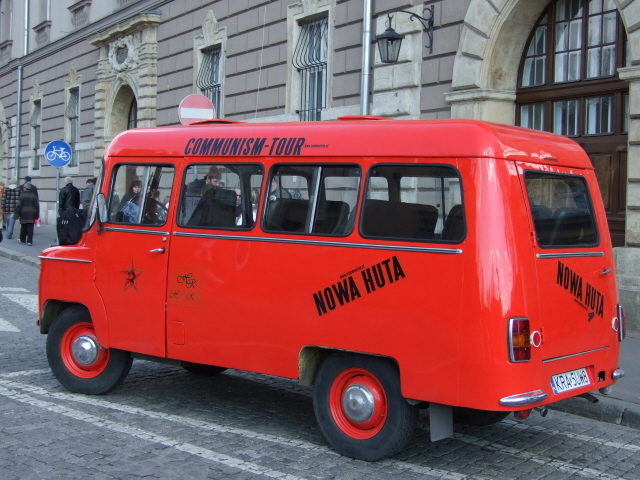 These are conducted in old vehicles from the era, painted in iconic colours and adorned with Soviet stars, and include eccentric guides who take visitors to the industrial suburb of Nowa Huta. This suburb is interesting in that it is a Stalinist-era planned town, and probably even more so intriguing because of the historic connections involving the giant steelworks that the town was built for: together with Gdansk's shipyards (both were then named after Lenin, by the way), this was a hotspot of the Solidarnosc trade union movement in the 1980s which played a huge role in the downfall of communism in Poland and beyond in the entire Eastern Bloc. All of this makes a few days in Krakow very worthwhile for the dark (and not so dark) tourist. Recommended! Location: in the south of Poland, not far from the Slovakian border and the Tatras mountains, east of the industrial belt around Katowice. Access and costs: easy and cheap to get to, not too costly otherwise, though no longer cheap either. Details: Krakow is one of the most easily accessible places in Poland, with an airport being served by several airlines, including budget carriers, main train lines from all directions and even one of the very few motorways in Poland, this one connecting the city with the west, leading most of the way towards Germany. Costs for getting here can be very low, especially by budget airline or by train (e.g. from Berlin, ca. 9-10 hours). East and north of Krakow, road connections are less comfortable, but still alright. Regular trains connect Krakow to Warsaw and Lublin (see Majdanek). The immense increase in tourism to Krakow has, however, resulted in comparatively high prices for accommodation and food & drink – now not far behind Western levels. On the other hand, this development has also brought a wider range to choose from than ever before, so cheap deals can be found too. And at the other end of the culinary scale, Krakow is also home to one of my favourite restaurants ever. 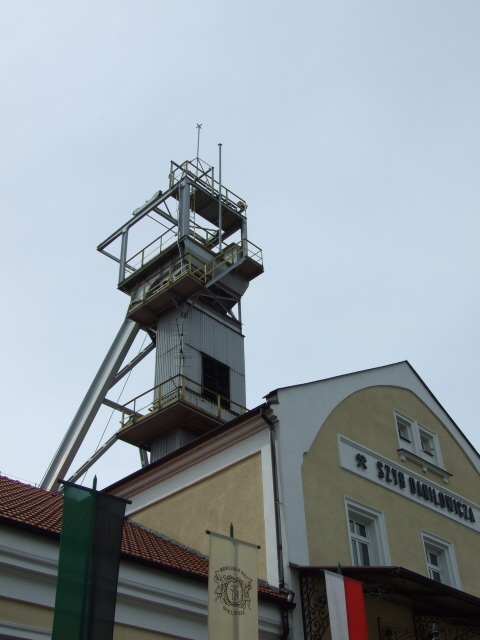 The excursion to Wieliczka (see below) could also be done by public transport – but once there you have to go on a locally guided tour anyway, so in this case you could just as well pay a little extra for the convenience of being shuttled there by coach. Several operators offer such tours. Expect to pay something like 20 EUR in total per head – more for small groups. Time required: Krakow makes an ideal weekend break, i.e. of two to three days duration. However, if you intend to combine the sights of Krakow itself with trips to Auschwitz and/or Wieliczka, you'll need at least an extra day. Similarly if you want to do one of those "Communism Tours" you'll need to allocate extra time – there are different packages lasting between two and a half and approximately four hours. Combinations with other dark destinations: Auschwitz is the most obvious and by far most popular excursion or add-on to a visit to Krakow. But the city is also an ideal starting point for longer trips exploring the south-east of Poland further. Highlights in terms of dark tourism include such notorious sites as Majdanek near Lublin, Belzec in the south-eastern corner of Poland near the Ukrainian border, or Sobibor to the east at the border with Belarus. Obviously, combining Krakow with Warsaw to the north, and possibly even further on towards Gdansk, is another option. Combinations with non-dark destinations: Krakow is as such one of the top mainstream tourism centres in Poland, so there's loads to see and do in the city, from the pretty central square, the many grand churches, picturesque buildings of all sorts, and, in particular, the Wawel castle complex towering over the city – one of the prime tourist sites of the entire country. 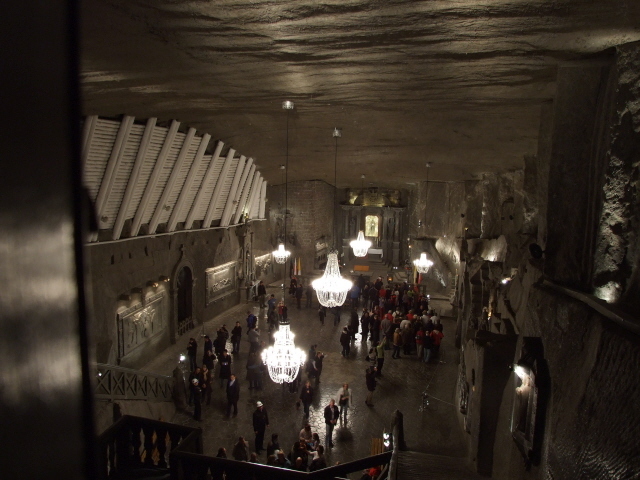 Another top tourist magnet, though of a completely different nature, is located just south of the city: the Wieliczka salt mines, one of the first 12 sites picked by UNESCO as a World Heritage Site. 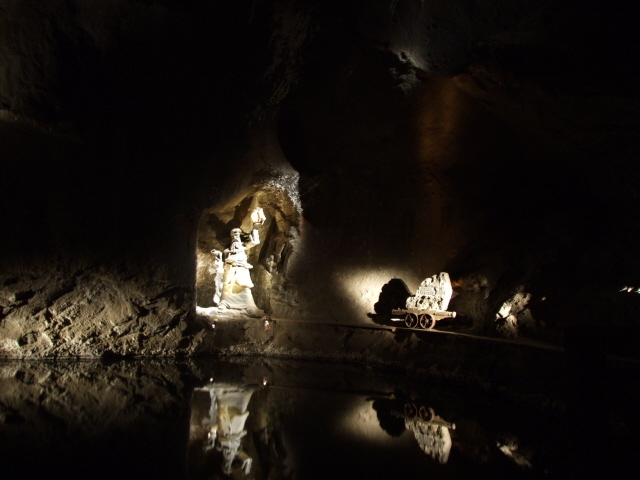 It can either be reached by public transport individually, or by using one of the many special coach excursion tours offered from Krakow – since you have to go on a guided group tour to see the mines anyway, the difference is only one of price, and convenience. What you get to see is indeed incredible and comes highly recommended. Further afield, to the south of Krakow, are the picturesque mountains of the Tatras with pretty villages and wildlife. Obviously, Krakow can also be combined with a longer round-trip exploration of the marvels Poland has to offer too. The most popular ones in the north (Gdansk or the Masurian Lakes in particular) are quite a distance away, though.